Lamar has fourteen years of experience in event marketing, management, and production. He has supported and produced a variety of projects and events for clients from corporate to entertainment. Lamar's field diversity is his strength and he is able to execute multiple aspects of production, without being overwhelmed. His dedication to the disciplines of Production, Event Management, Promotions and Marketing have made him and his company, Nonstop Entertainment Group, Inc. a reliable source for quality and results in these fields. Lamar also has experience as a TV producer. As a Production Assistant for Multimedia Entertainment’s News Talk Television, he gained valuable insight into the complexities of a media production environment. Lamar was employed at the Montel Williams Show for two years, freelanced for the Phil Donahue Show, and was also a Production Assistant on Spike Lee's movie 'Summer of Sam" which was released in June 1999. His path has also led him to work on various music videos and commercial projects, for Arrested Development, TLC,98.7 Kiss FM,CD 101.1 FM, and Volkswagen Europe. 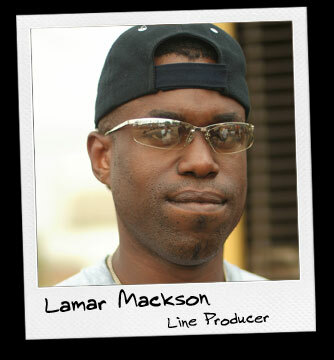 Lamar was an audio-visual producer and logistics coordinator for the Vibe Magazine Music Seminars from 1995 to 1999. He recently acted as line producer and production manager on the set of ALGENY.